A wider angle shot of Canary Wharf and the other Dockland Sky Scrappers. The boats remain perfectly still during this long exposure image. 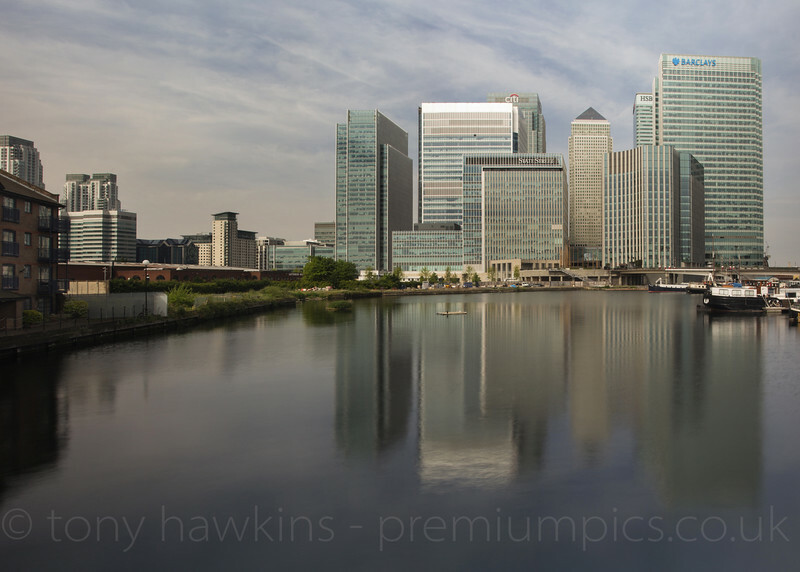 Soft colours and a very long exposure to make the water flat and calm make this an interesting shot of London Docklands. Photographed from a bridge in The Blackwall Basin Canary Wharf and the other skyscrapers that make up the London Docklands Financial District make an excellent backdrop to the water. 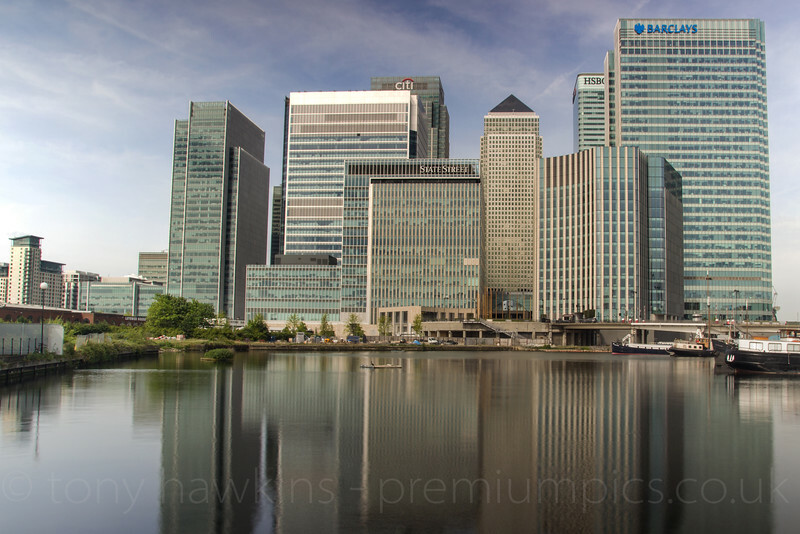 The tallest building in London, Canary Wharf, can be seen in this photograph together with the other skyscrapers that make up the London Dockland Financial District. A long exposure was used to flatten the water. 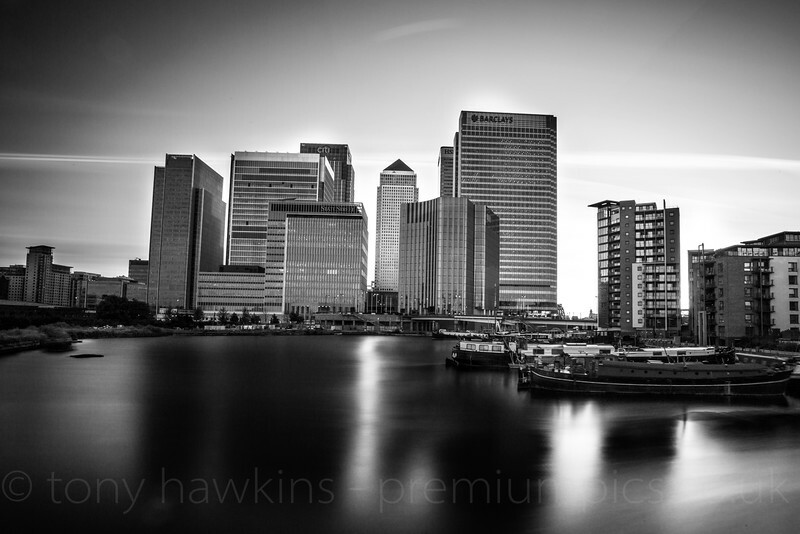 Blackwall Basin and London Docklands - long exposure. This shot was taken from the left side of Blackwall Basin and it shows the size of the old dock area with the financial district of The Docklands in the background. The long exposure flattens the water. Another shot taken from the left side of Blackwall Basin and it shows the size of the old dock area with the financial district of The Docklands in the background. The long exposure flattens the water. 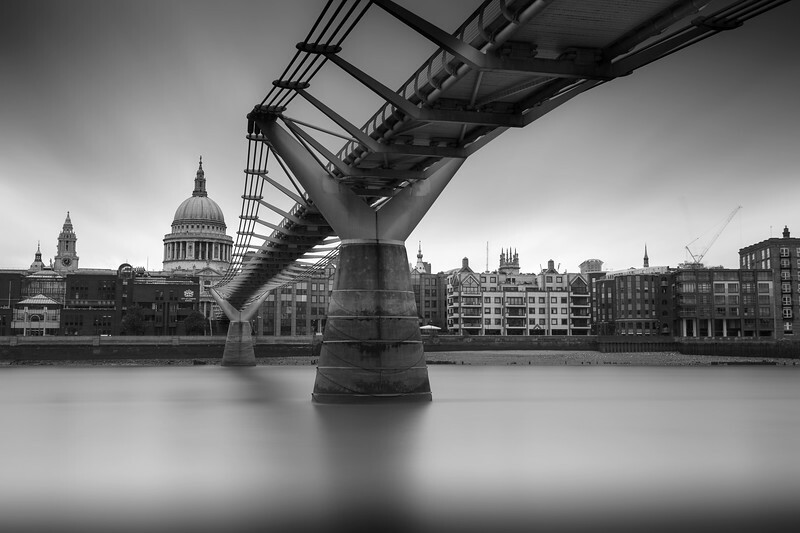 A monochrome image is really effective here. 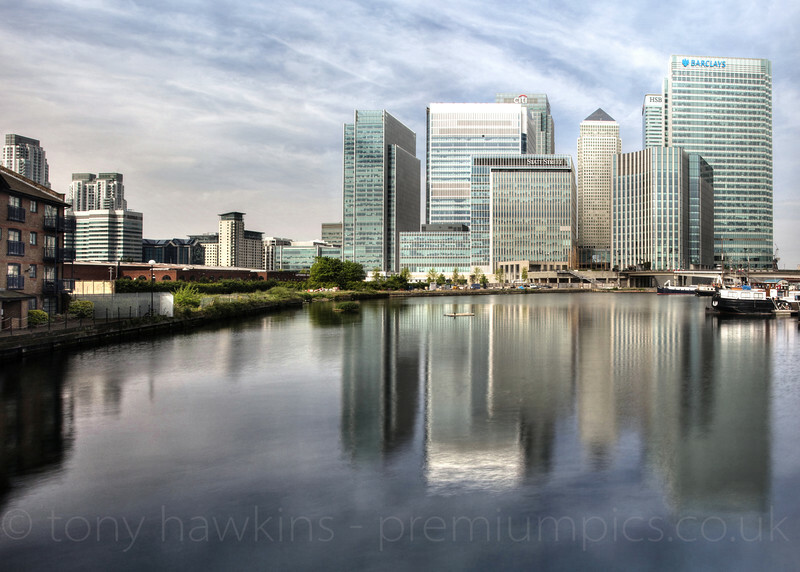 Tone mapping and a very long exposure to make the water flat and calm make this an interesting shot of London Docklands. Technically speaking 'Tone Mapping' is the process of converting the tonal values of an image from a high range to a lower one. In essence it helps alter the colours, contrast and feel of a photograph. This was taken from a bridge in The Blackwall Basin Canary Wharf and the other skyscrapers that make up the London Docklands Financial District make an excellent backdrop to the water. 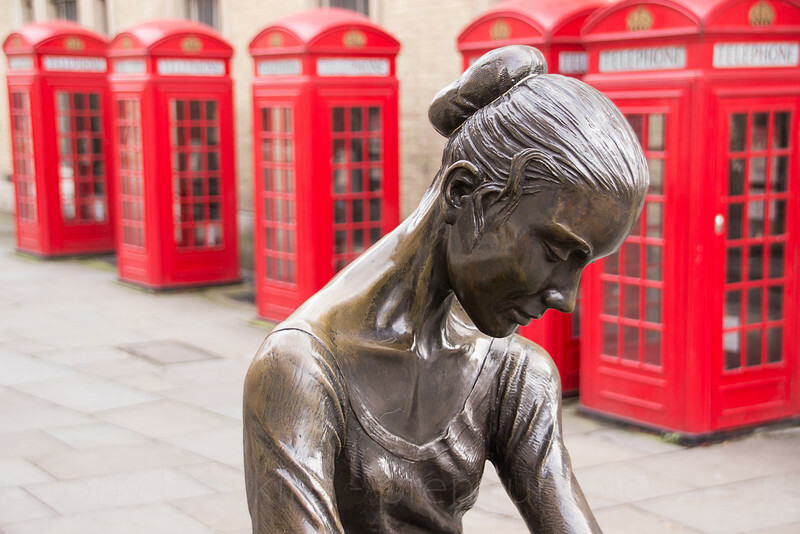 This statue of a Ballerina is located opposite the Royal Opera House in Covent Garden London. 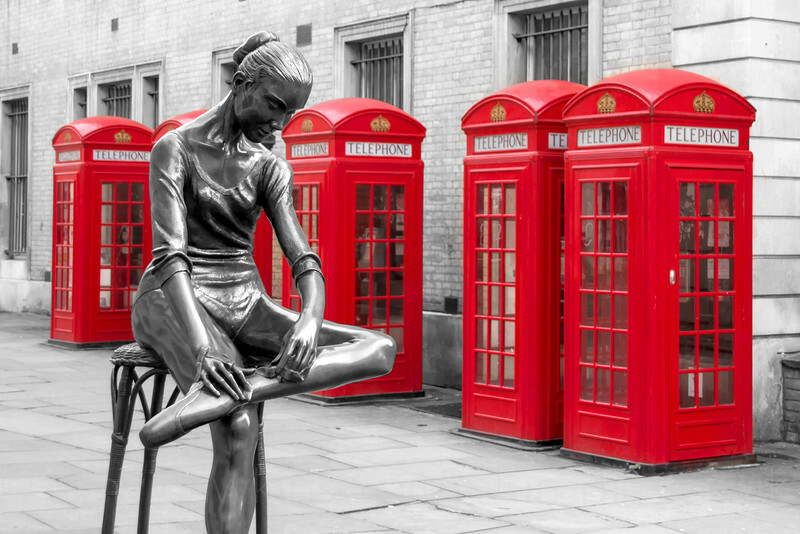 The image has been converted to black and white with the red London Phone Boxes remaining as a spot colour. Hope you agree the monochrome with a spot colour works well. 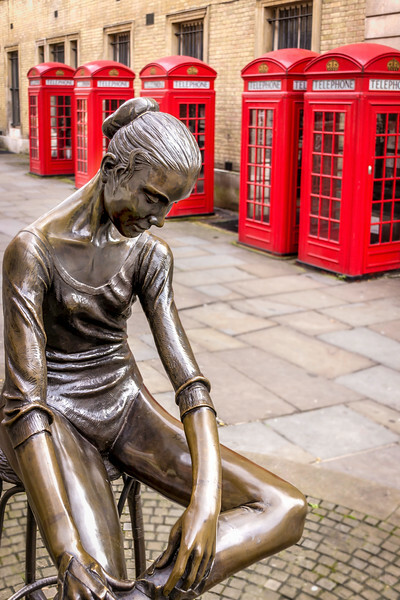 This statue of a Ballerina is located opposite the Royal Opera House in Covent Garden London.